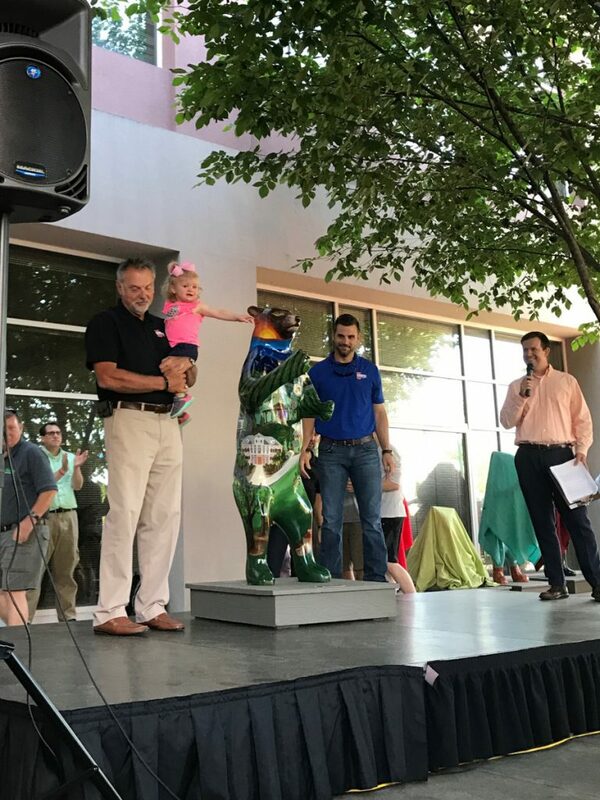 HENDERSONVILLE, N.C. - Earlier this summer Cooper Construction participated in the city of Hendersonville's 15th annual Bearfootin' auction. 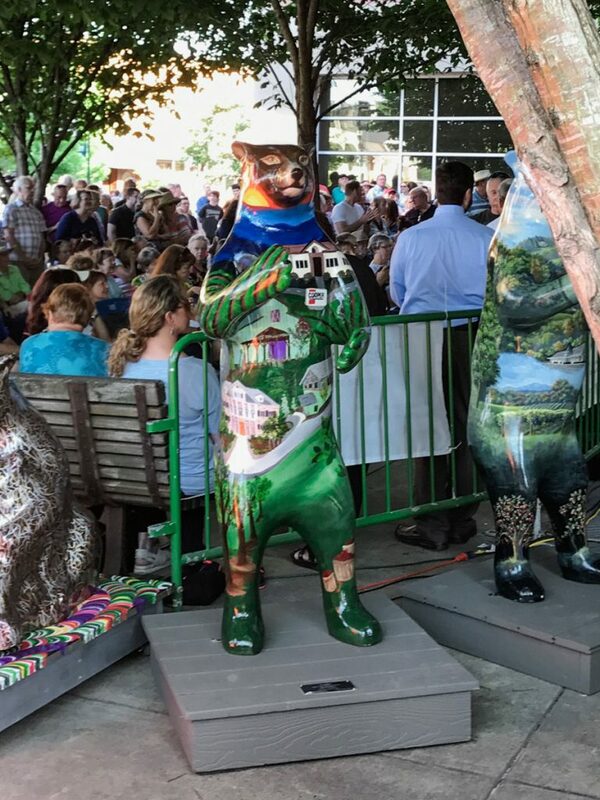 One of 20 local businesses and nonprofits, Cooper Construction teamed up with artists to paint ceramic bears to be displayed throughout the summer and auctioned off to support a local nonprofit. 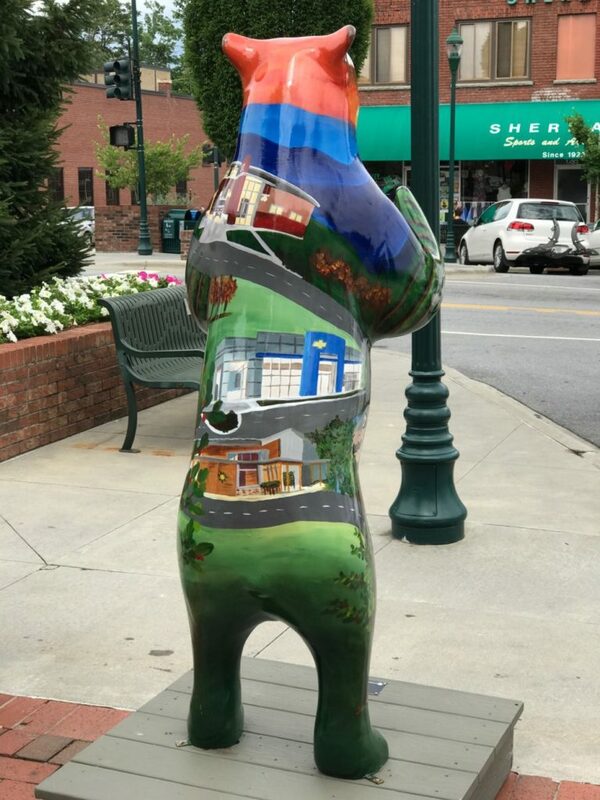 Cooper Construction's bear, affectionately named "Cooper", is a celebration of 50 years operating in Hendersonville, NC. 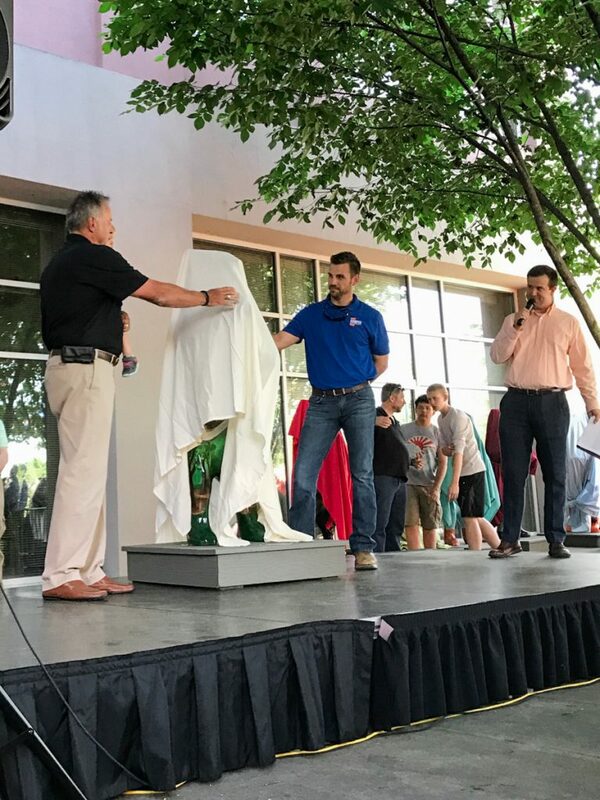 As a family owned company founded in 1967, Cooper Construction is proud to have been involved with this community for 5 decades. 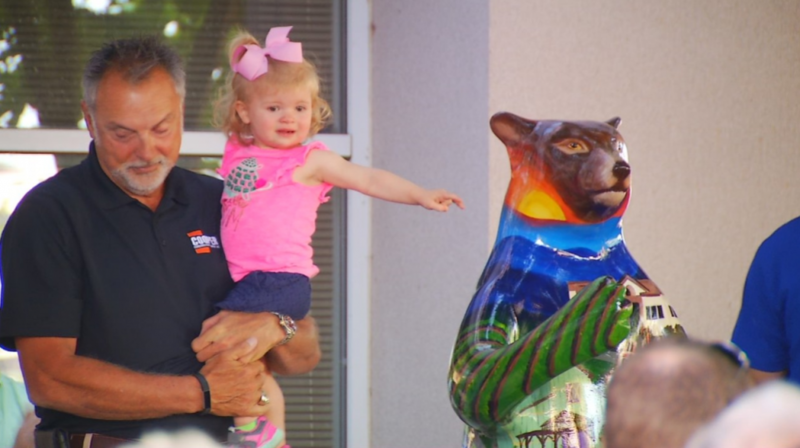 The buildings pictured not only represent the progression of the economic development in Henderson County but also the great relationships with the hardworking business owners that Cooper Construction has worked with throughout the years. 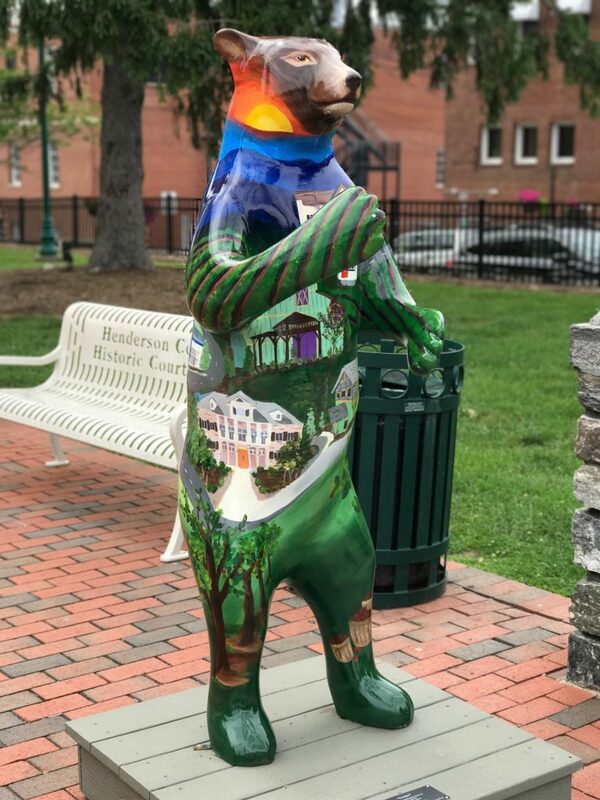 Alongside of these county landmarks the artist, Meg Denham of Atlanta, also captured the beauty of Henderson County portrayed by the rolling hills of the blue ridge, apple orchards and vineyards. Proceeds from Cooper's auction benefited the Storehouse, a Christ-centered food and hygiene pantry for the needy in Henderson county. 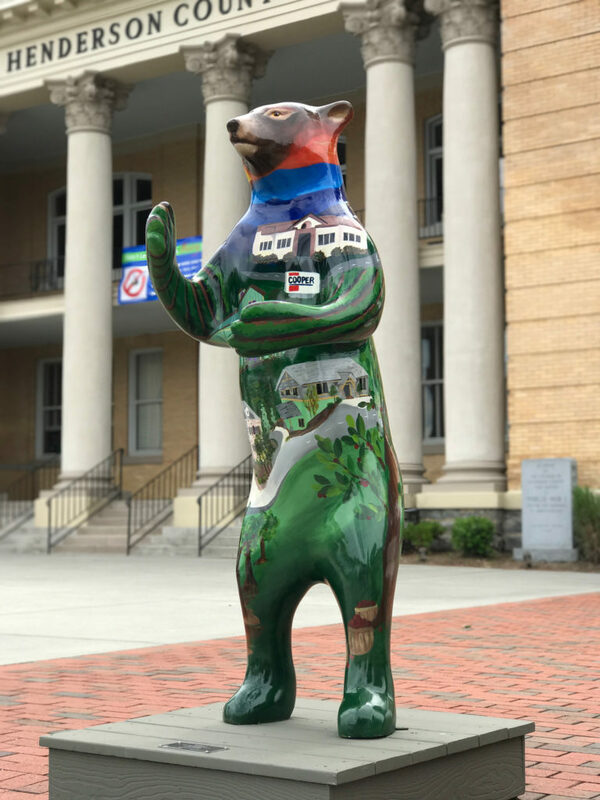 After a successful summer on Main Street raising over $3,000 for the Storehouse Cooper returned to the offices of Cooper Construction Company and welcomes each new guest and prospective client that enters.